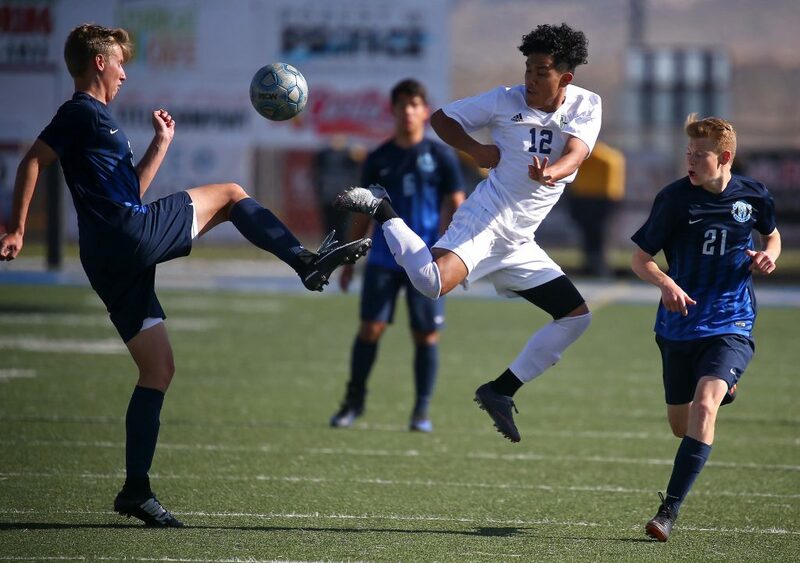 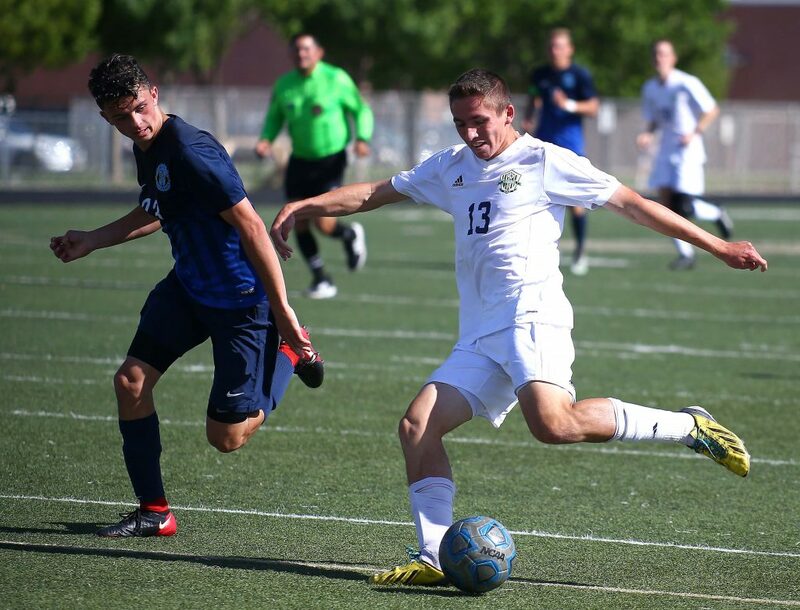 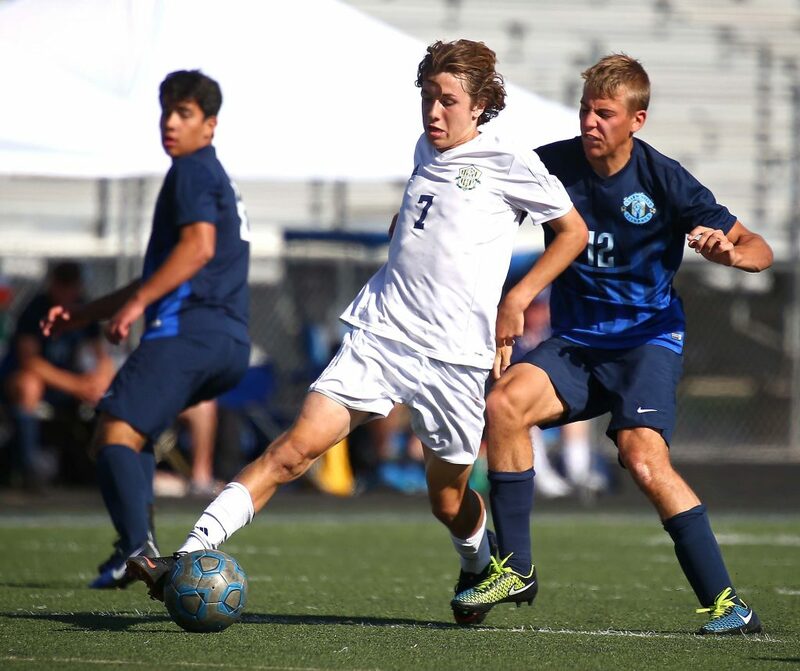 ST. GEORGE — Fueled by freshman Jacob Wittwer’s one goal and two assists, the Snow Canyon Warriors won their first-round 4A soccer playoff game Thursday afternoon, defeating Salem Hills 3-0. 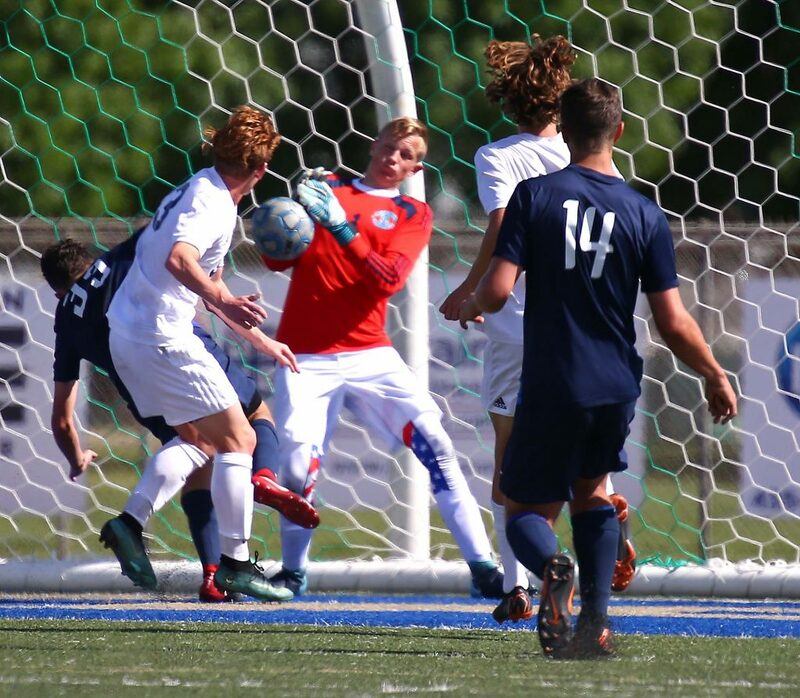 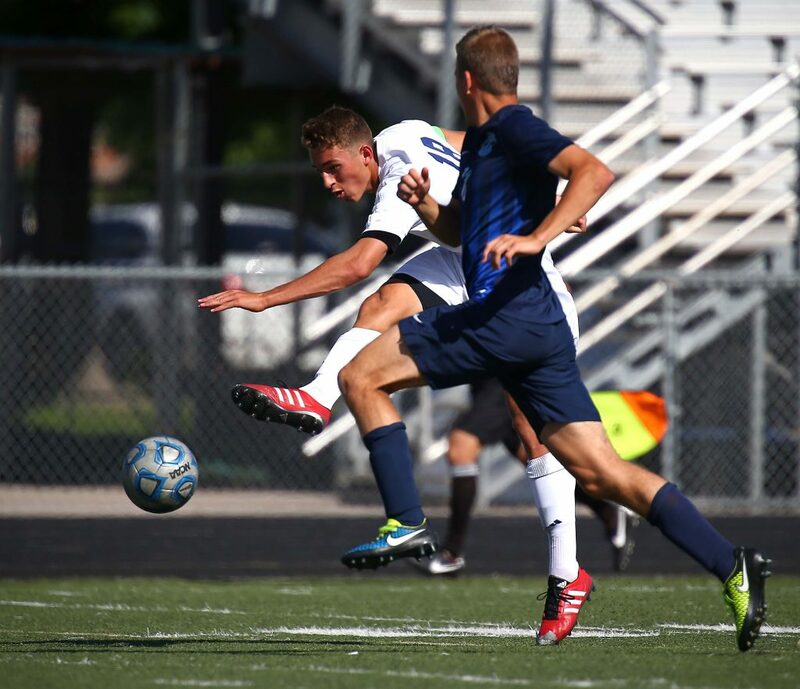 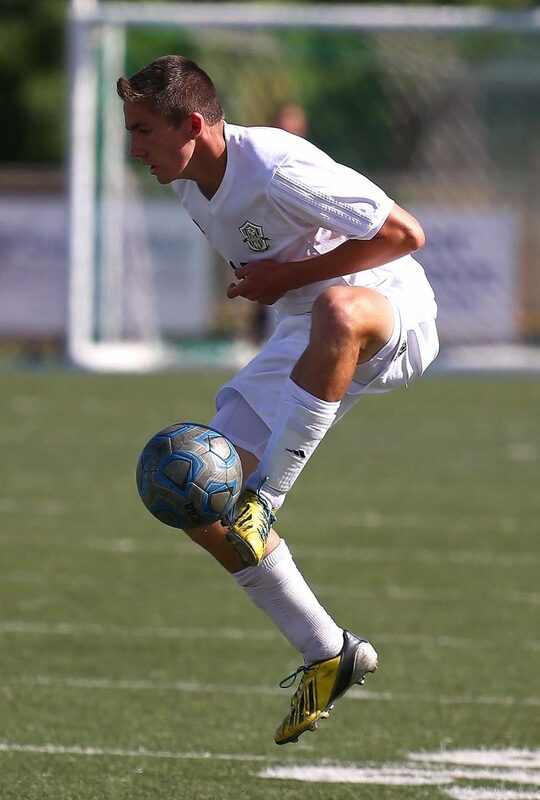 Jacob Wittwer, the coach’s son, scored the first goal of the contest, slotting the ball into the net during the 22nd minute off a sharp right-side assist from senior teammate Alex Tholen. 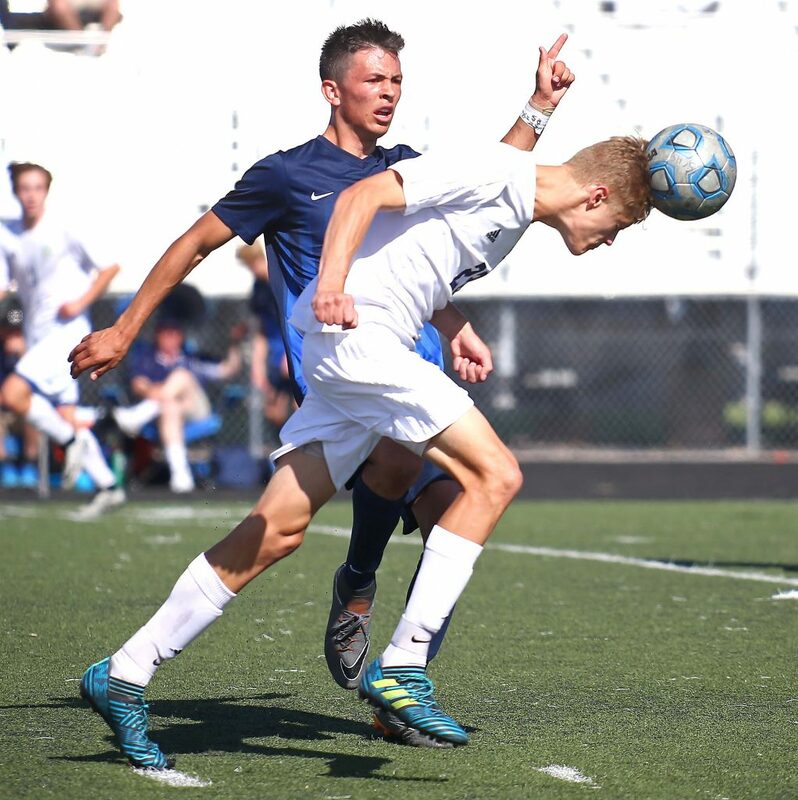 Tholen, one of the team’s captains, said he had actually started the game on defense, “but then I got taken out because I got a bloody nose.” When he came back in, Tholen said he had a different role on the offensive side. 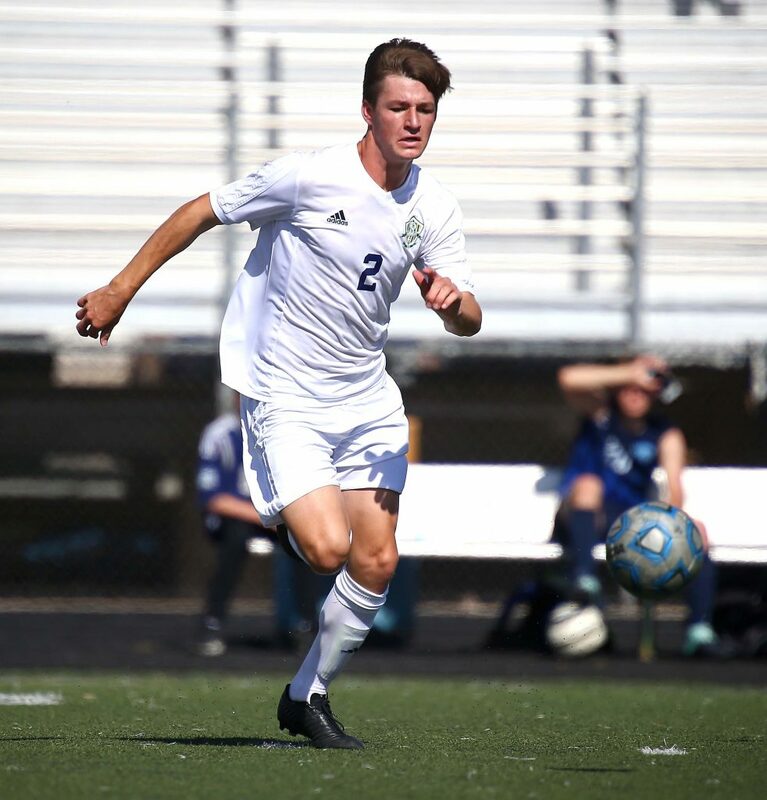 “My job was then just to kick it out wide and then put the ball in play for others,” Tholen said. 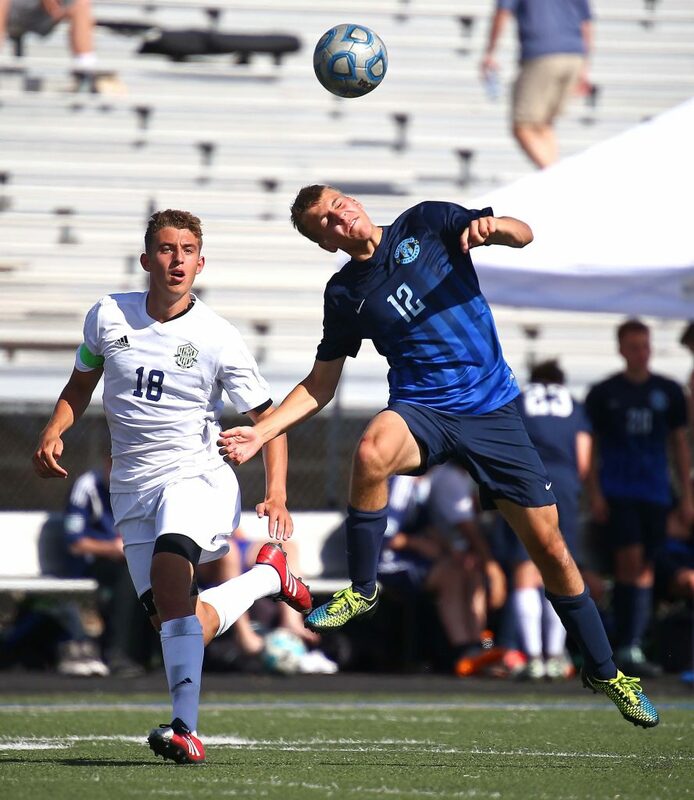 “When we had Alex out wide, they had no answer for him,” added coach Wittwer. 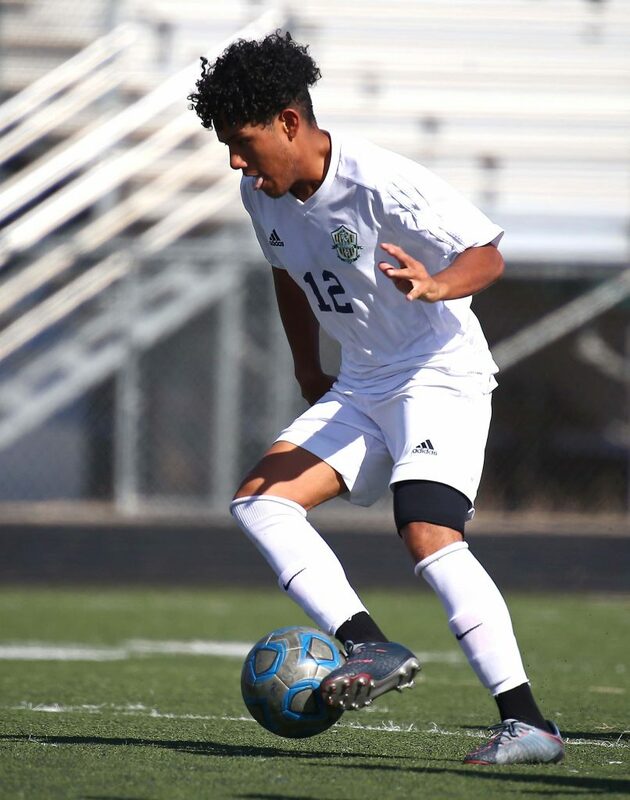 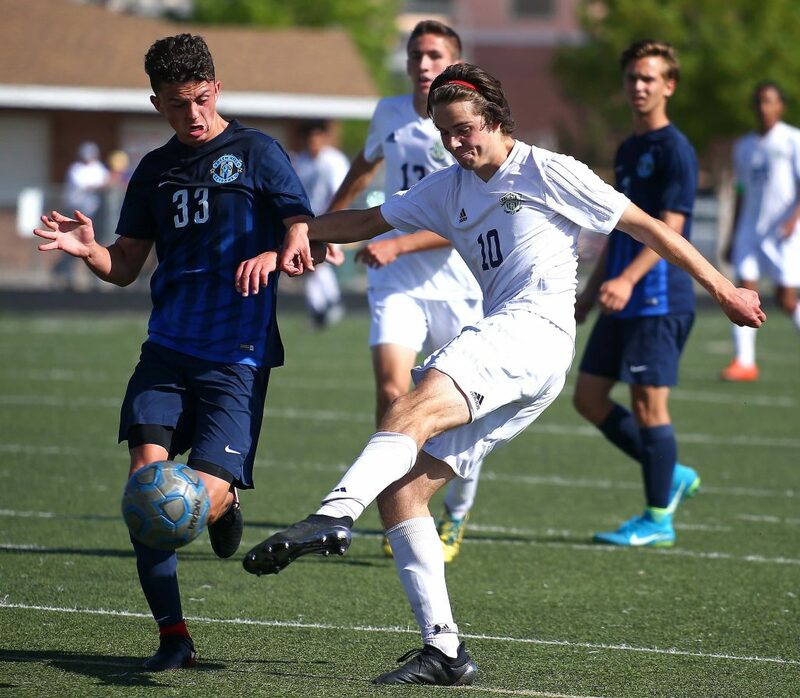 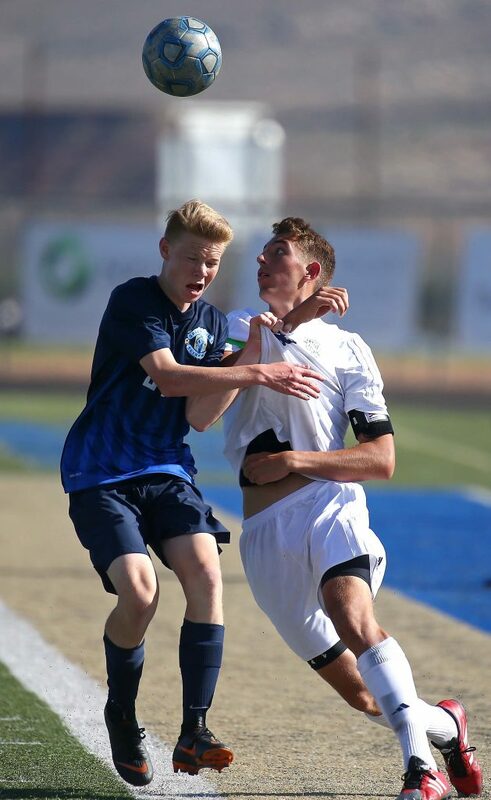 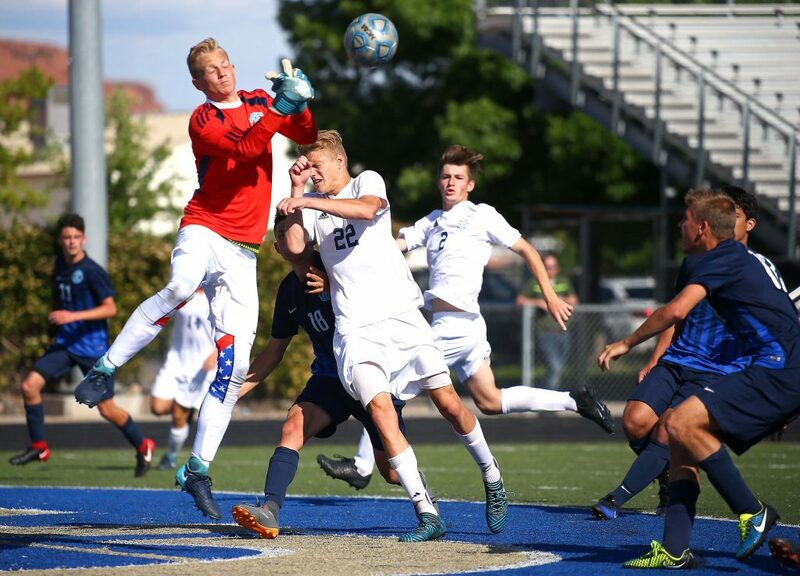 In the 34th minute, another Snow Canyon freshman, Sanders Esplin, found the top of the net with an acrobatic kick that barely went over the outstretched hands of Salem Hills goalkeeper Justin Christensen. 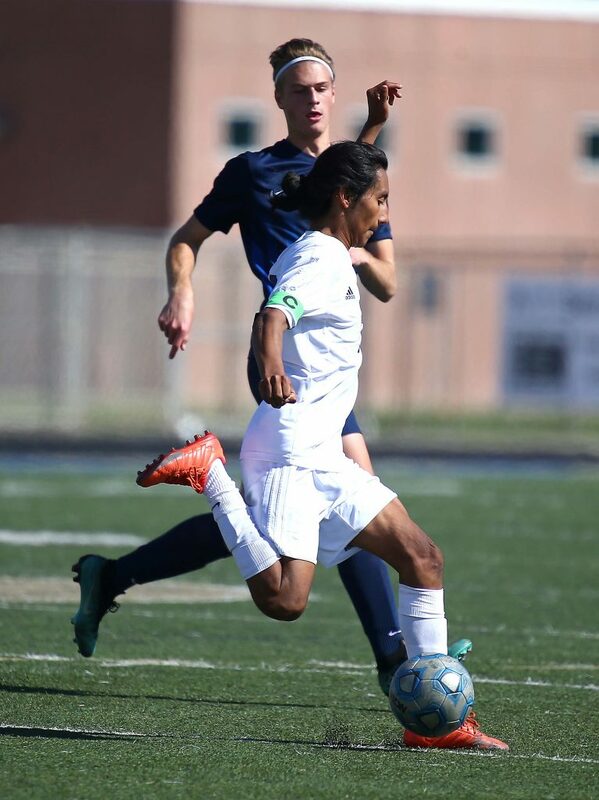 Esplin’s strike gave the Warriors a 2-0 lead. 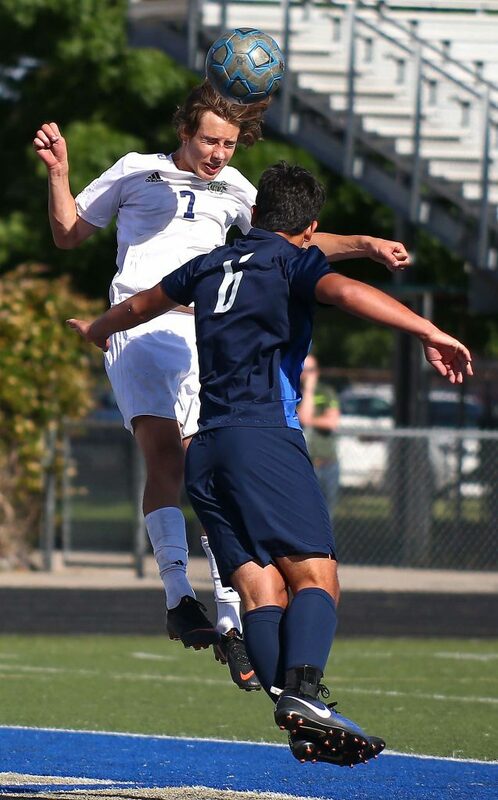 Jacob Wittwer was credited with an assist on the play. 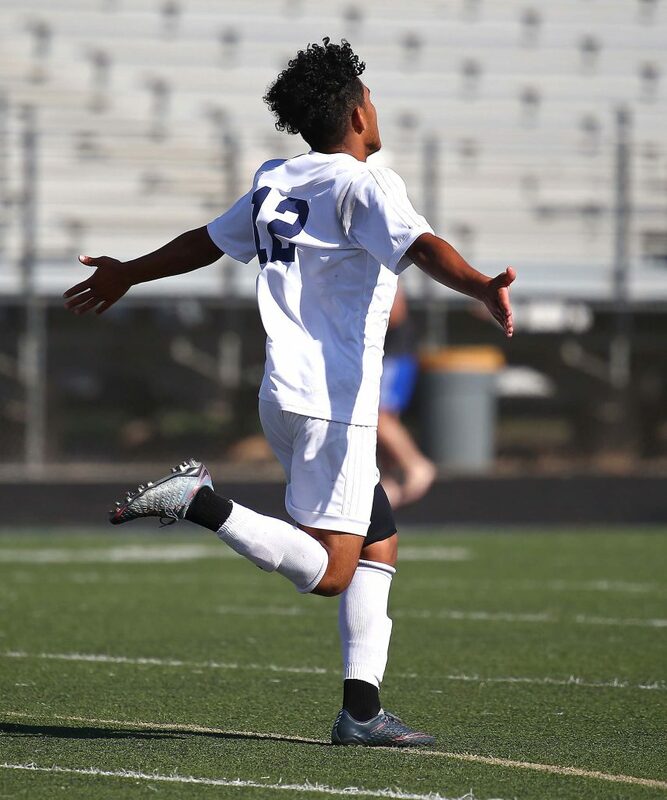 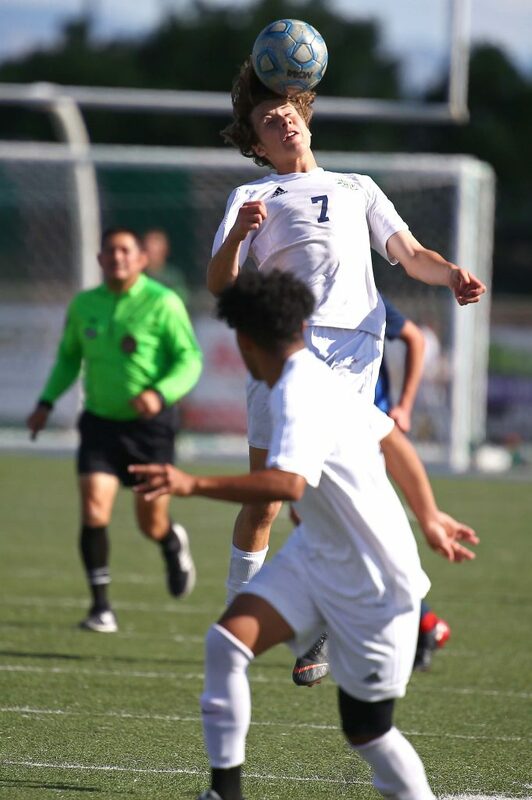 Then, shortly after halftime, in the 46th minute of the contest, senior Richard Nino outlasted a persistent defender as he approached the net from the right side and powered it into the corner of the net for the third and final goal of the game. 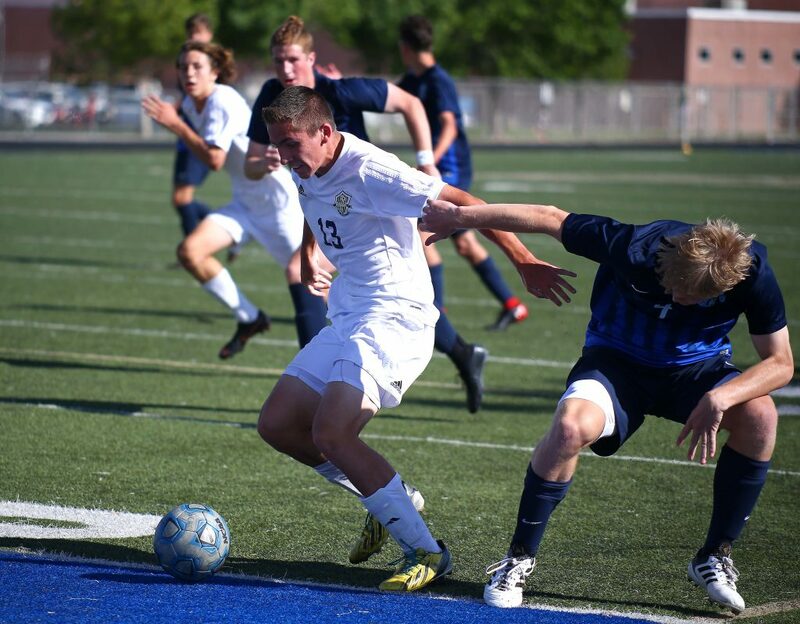 Again, Jacob Wittwer picked up the assist. 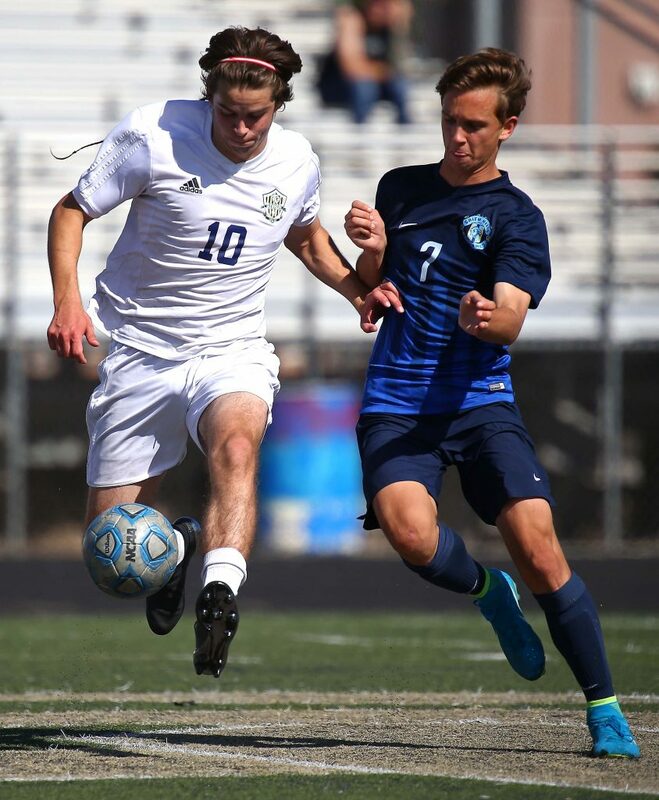 Snow Canyon’s defenders were able to keep the ball and much of the action away from their half of the pitch most of the game. 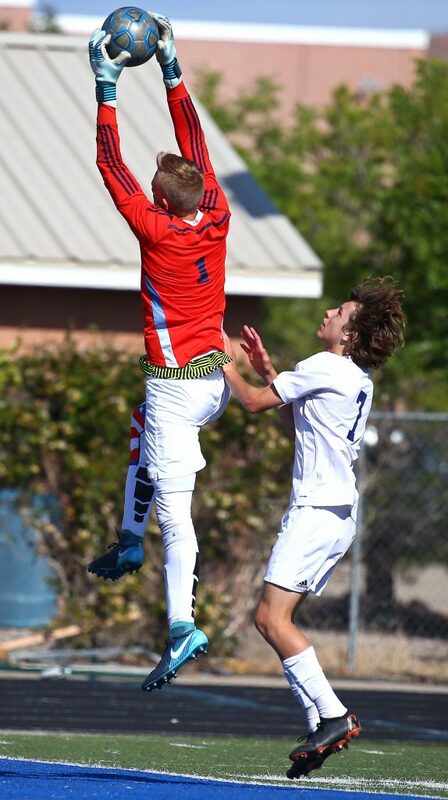 Warrior goalkeeper Austin Mild picked up the shutout, although he only needed to stop a handful of shot attempts. 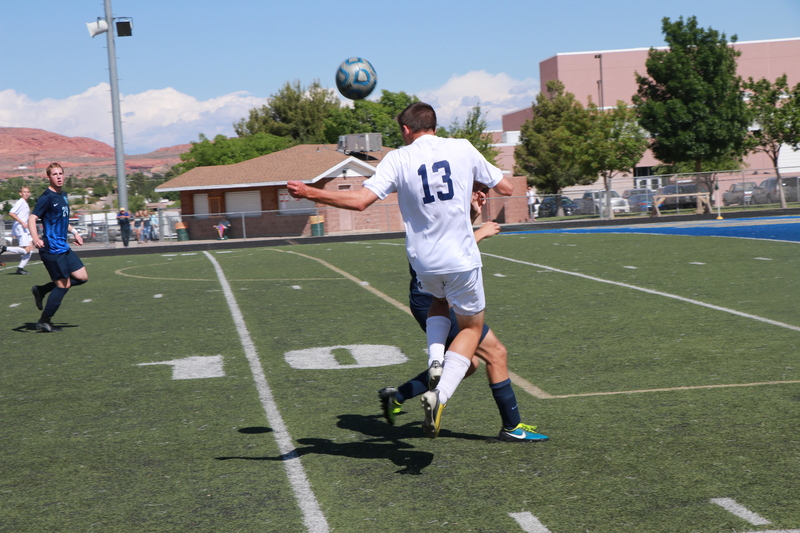 “It wasn’t the most physical game, but defensively we were strong,” coach Wittwer said. 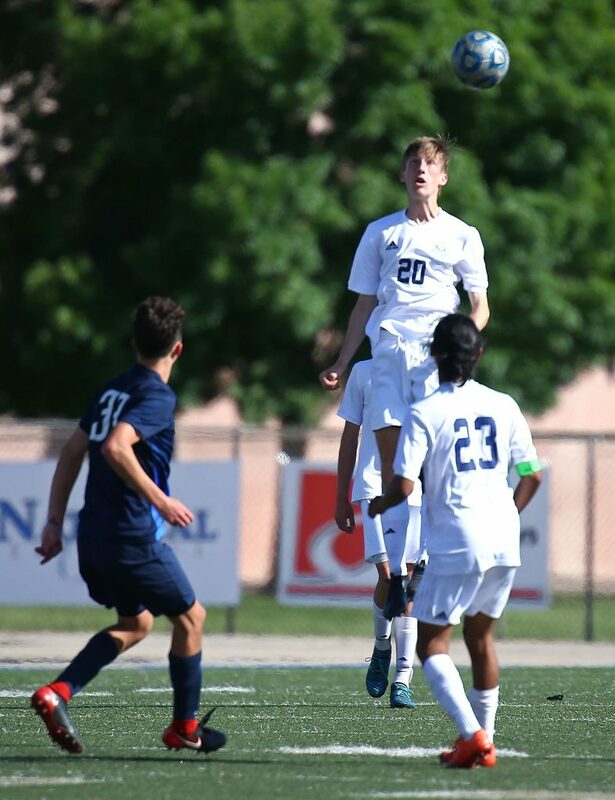 In picking up the opening-round playoff win, the No. 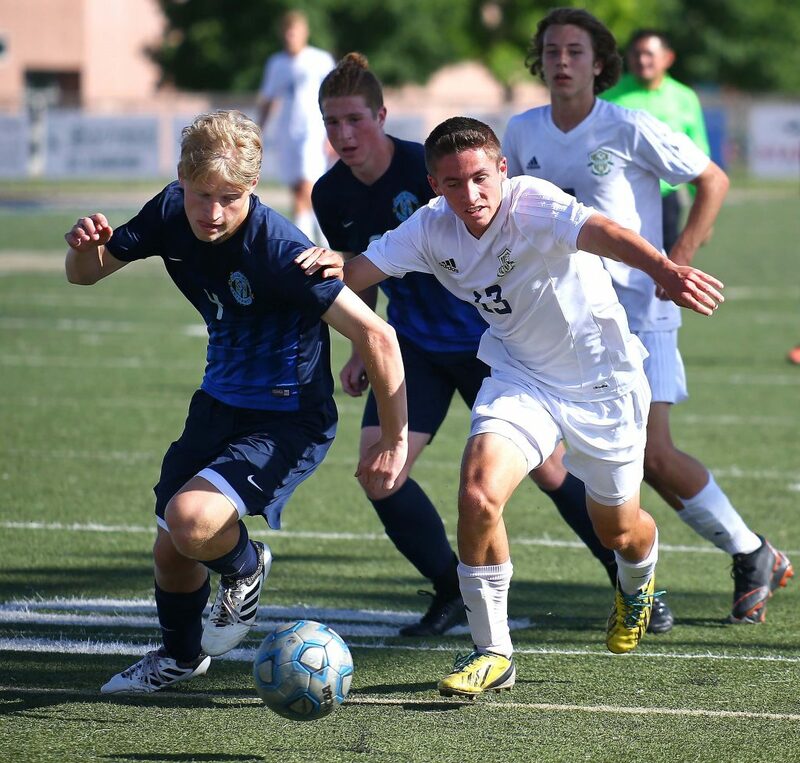 1-seeded Snow Canyon Warriors (10-0-5 overall) will play again at home on Saturday at 1 p.m. 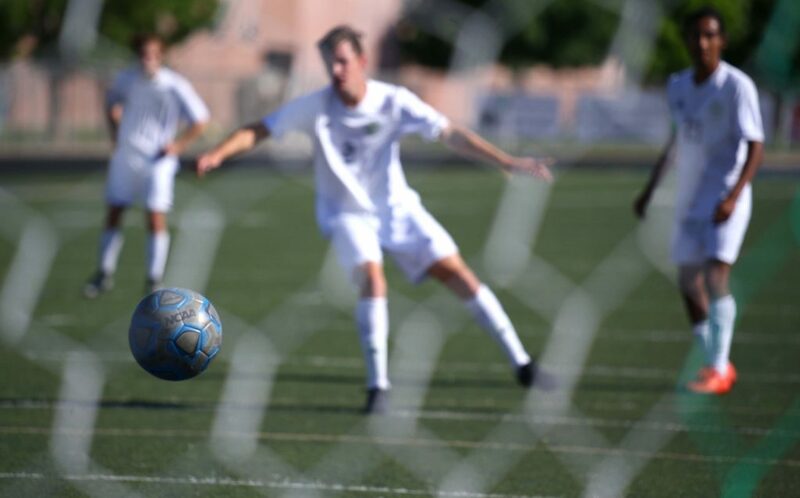 The Warriors’ second-round opponent will be second-seeded Park City, which defeated Bear River 4-0 Thursday.